If you want to know how many tabs were opened on Tuesday, September the 5th, 2017, you couldn’t tell on the day itself. All the tabs users open late at night won’t even be in pings, and anyone who puts their computer to sleep won’t send their pings until they wake their computer in the morning of the 6th. One of the successes for Firefox Telemetry has been the introduction of standardized data types; histograms and scalars. The distribution view for the max_concurrent_tabs scalar on the TMO dashboard. This works great when shipping probes in the Firefox core code, going through our normal release and testing channels, which takes a few weeks. However, often we want to ship code faster using add-ons: this may mean running experiments through Test Pilot and SHIELD or deploying Firefox features through system add-ons. Instrumenting the code in Firefox core code, then waiting a few weeks until it is in release. Implementing a custom ping and submitting it through Telemetry, requiring additional client and pipeline work. Neither are satisfactory; there is significant manual effort for running simple experiments and adding features. This is one of the main pain-points coming up for adding new data collection, so over the last months we were planning how to solve this. As the scope of an end-to-end solution is rather large, we are currently focused on getting the support built into Firefox first. This can enable some use-cases right away. We can then later add better and automated integration in our data pipeline and tooling. The basic idea is to use the existing Telemetry APIs and seamlessly allow them to record data from new probes as well. To enable this, we will extend the API with registration of new probes from add-ons at runtime. The recorded data will be submitted with the main ping, but in a separate bucket to tell them apart. We now support add-on registration of events from Firefox 56 on. We expect event recording to mostly be used with experiments, so it made sense to start here. With this new addition, events can be registered at runtime by Mozilla add-ons instead of using a registry file like Events.yaml. The event view in about:telemetry. On the pipeline side, the events are available in the events table in Redash. Custom analysis can access them in the main pings under payload/processes/dynamic/events. As mentioned, this is the first step of a larger project that consists of multiple high-level pieces. Not all of them are feasible in the short-term, so we intend to work towards them iteratively. Make it easy to submit new Telemetry probes from Mozilla add-ons. New Telemetry probes from add-ons are easily accessible, with minimal manual work. Uphold our standards for data quality and data review. Add-on probes should be discoverable from one central place. This is currently happening in Q3 & Q4 2017. 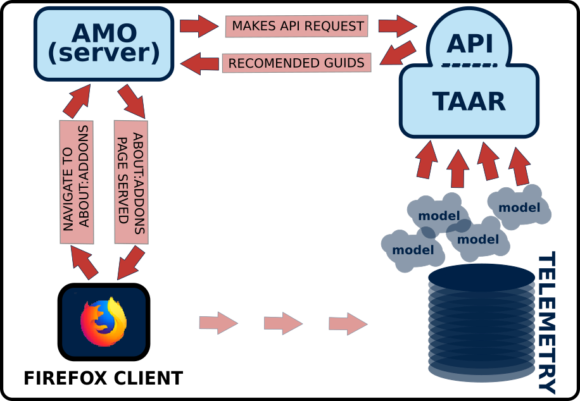 We are focusing on adding & extending Firefox Telemetry APIs to register & record new probes. Events are supported in Firefox 56, scalars will follow in 57 or 58, then histograms on a later train. The add-on probe data is sent out with the main ping. Phase 2: Add-on tooling work. To enable pipeline automation and data documentation, we want to define a variant of the standard registry formats (like Scalars.yaml). By providing utilities we can make it easier for add-on authors to integrate them. We want to pull the probe registry information from add-ons together in one place, then make it available publically. This will enable automation of data jobs, data discovery and other use-cases. From there we can work on integrating this data into our main datasets and tools. The later phases are not set in stone yet, so please reach out if you see gaps or overlap with other projects. You can find us on IRC in #telemetry and #datapipeline. We are available on slack in #fx-metrics. The main mailing list for data topics is fx-data-dev. Bugs can be filed in one of these components. You can also find us on Twitter as @MozTelemetry. The data platform and tools teams are working on our core Telemetry system, the data pipeline, providing core datasets and maintaining some central data viewing tools. To make new work more visible, we provide quarterly updates. What’s new in the last few months? Beta “main” ping submission delay analysis by :chutten. A lot of work in the last months was on reducing latency, supporting experimentation and providing a more reliable experience of the data platform. On the data collection side, we have significantly improved reporting latency from Firefox 55, with preliminary results from Beta showing we receive 95% of the “main” ping within 8 hours (compared to previously over 90 hours). Curious for more detail? #1 and #2 should have you covered. We also added a “new-profile” ping, which gives a clear and timely signal for new clients. 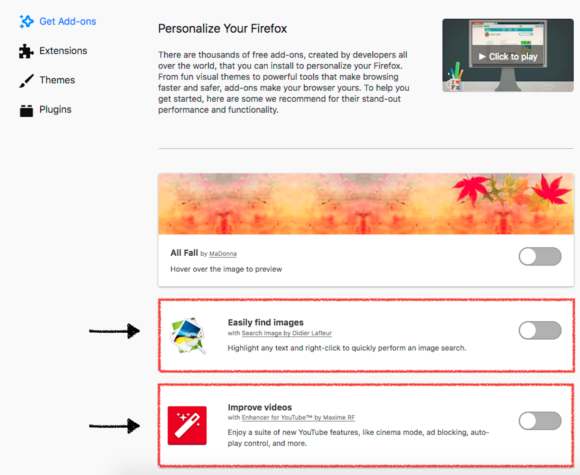 There is a new API to record active experiments in Firefox. This allows annotating experiments or interesting populations in a standard way. The record_in_processes field is now required for all histograms. This removes ambiguity about which process they are recorded in. The data documentation moved to a new home: docs.telemetry.mozilla.org. Are there gaps in the documentation you want to see filled? Let us know by filing a bug. For datasets, we added telemetry_new_profile_parquet, which makes the data from the “new-profile” ping available. Additionally, the main_summary dataset now includes all scalars and uses a whitelist for histograms, making it easy to add them. Important fields like active_ticks and Quantum release criteria were also added and backfilled. For custom analysis on ATMO, cluster lifetimes can now be extended self-serve in the UI. The stability of scheduled job stability also saw major improvements. There were first steps towards supporting Zeppelin notebooks better; they can now be rendered as Markdown in Python. The data tools work is focused on making our data available in a more accessible way. Here, our main tool Redash saw multiple improvements. Large queries should no longer show the slow script dialog and scheduled queries can now have an expiration date. Finally, a new Athena data source was introduced, which contains a subset of our Telemetry-based derived datasets. This brings huge performance and stability improvements over Presto. The experiments viewer & pipeline, which will make it much easier to run pref-flipping experiments in Firefox. Recording new probes from add-ons into the main ping (events, scalars, histograms). We are working on defining and monitoring basic guarantees for the Telemetry client data (like reporting latency ranges). A re-design of about:telemetry is currently on-going, with more improvements on the way. A first version of Mission Control will be available, a tool for more real-time release monitoring. Analyzing the results of the Telemetry survey, (thanks everyone!) to inform our planning. Extending the main_summary dataset to include all histograms. Adding a pre-release longitudinal dataset, which will include all measures on those channels. Looking into additional options to decrease the Firefox data reporting latency. Today we are launching a new search data collection initiative in Firefox. This data will allow us to greatly improve the Firefox search experience while still respecting user privacy. Search is both a fundamental method for navigating the Web and how Mozilla makes much of its revenue. Our research shows users have complicated search workflows. We know from internal user research studies that users often start a search from places like the Awesome Bar or search bar and then continue to refine their search on the search engine results page. We call these additional searches follow-on searches. Firefox telemetry already includes a count of the searches users perform in all Firefox search bars. Firefox does not yet count follow-on searches. This is a real challenge for Mozilla, because we don’t understand how well the Firefox search experience works for our users. A new experiment launching today will measure follow-on searches. When you search with one of the search engines that we include in Firefox, we will increment a counter for each follow-on search. Our telemetry system will count follow-on searches the same way we already count direct searches from our search bars. We won’t collect search queries (the words you type into the search box) nor any other Web browsing activity. We will roll out the new experiment to a random sample of 10% of Firefox release users. If successful, we will extend these follow-on search measurements to our entire release population as a part of our normal telemetry system. We seek these new measurements to gain missing insight into a crucial browser interaction. These new measurements are consistent with our data collection principles. Data helps us decide where to apply our limited resources to improve Firefox, while also safeguarding user privacy. Mozilla will continue to provide public documentation and user controls for all telemetry collected within Firefox. With better insight into search behavior, we can improve Firefox and continue to sustain Mozilla’s mission.